It's happened to all of us right? A half-filled bottle of good product with a broken pump spray...before you throw that bottle out or purchase a replacement. Check this out. It only takes 5-seconds to get the job done. 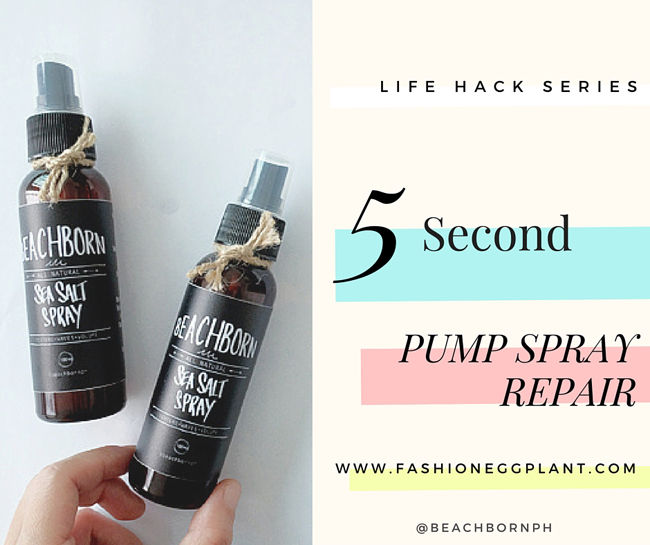 All you need to do is break the pump spray in half and then, voila! Curious? Check out this quick vid for a super simple step by step tutorial. Vital hack this summer with all the pump spray goodies we're bound to hoard. Spray tans, sunblock, bug spray and of course, BEACH BORN Sea Salt Spray to tame-frizz and to achieve heatless beachwaves all day.